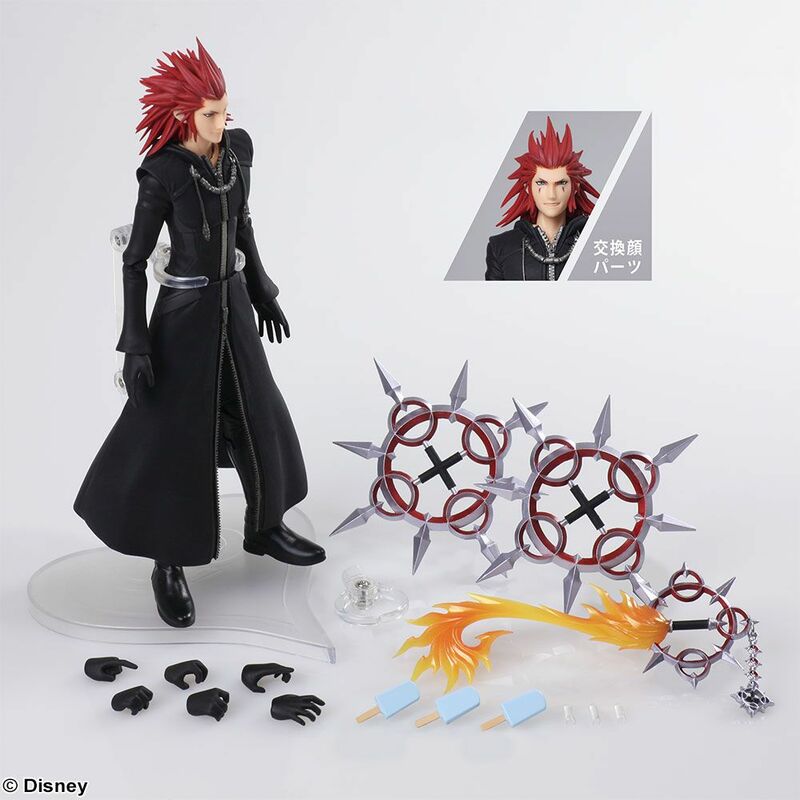 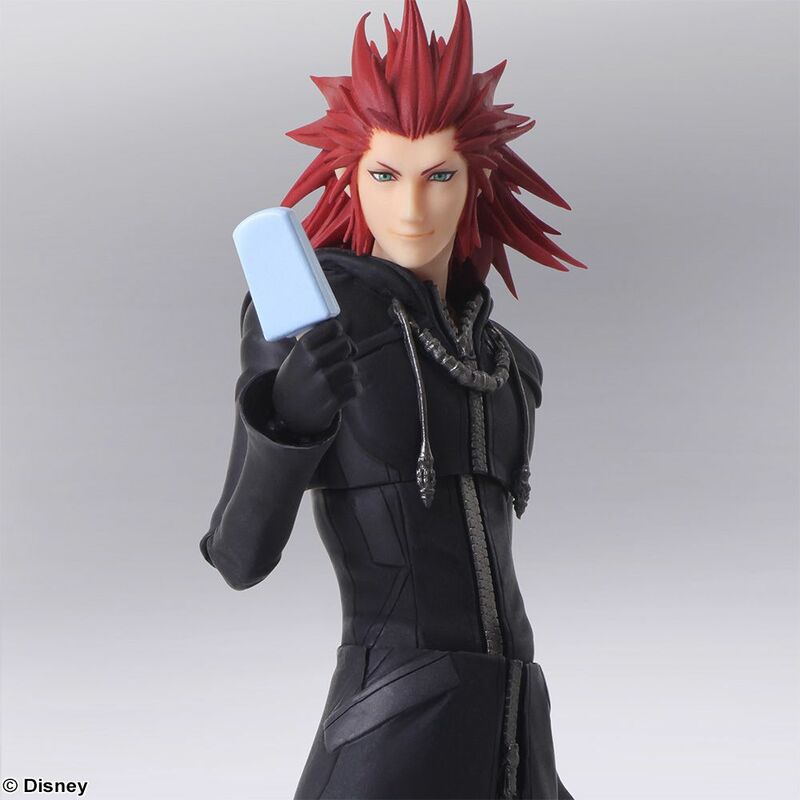 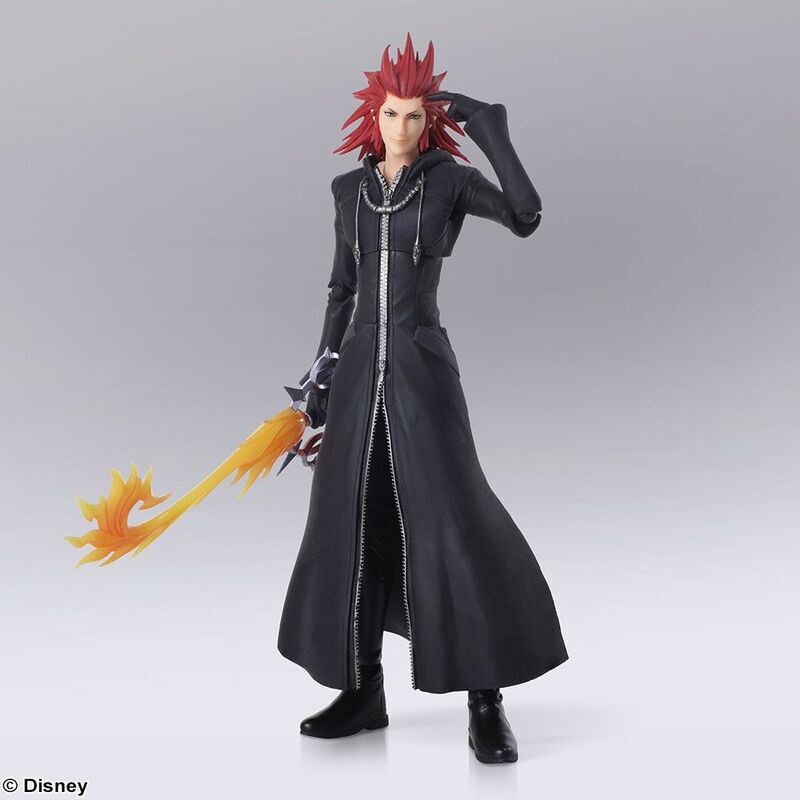 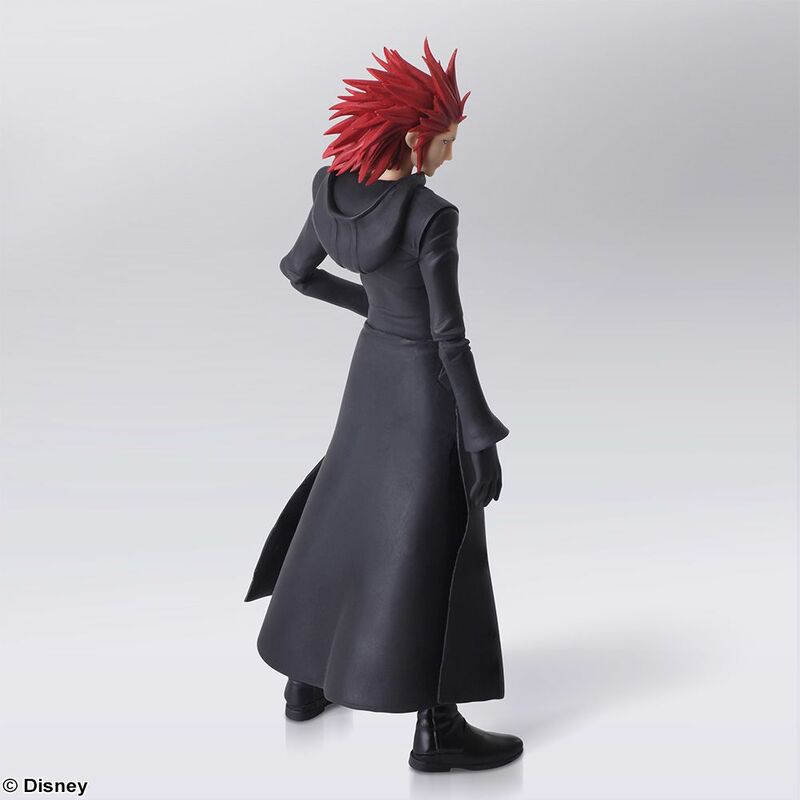 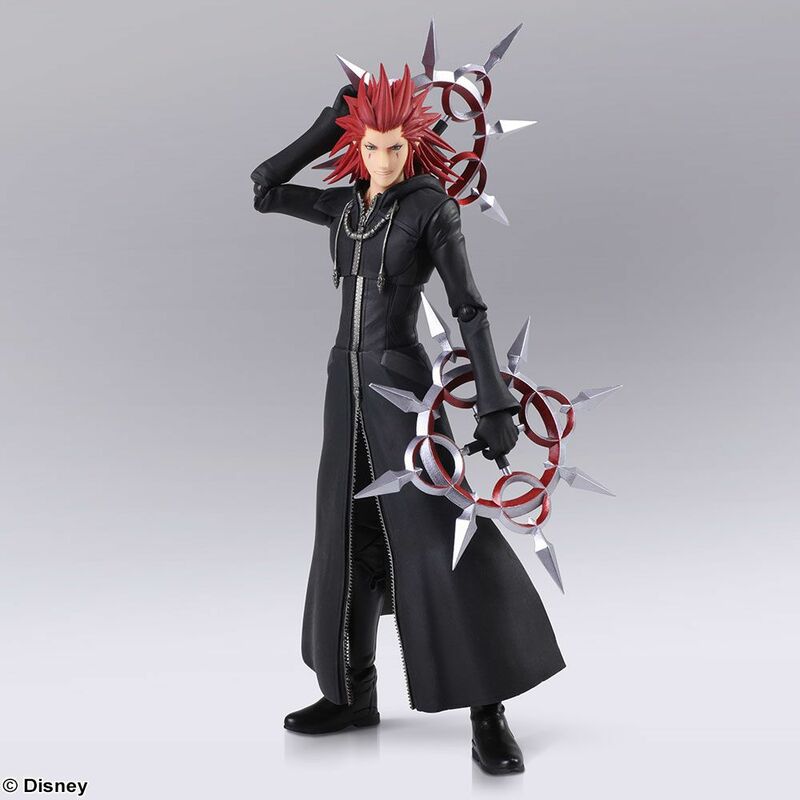 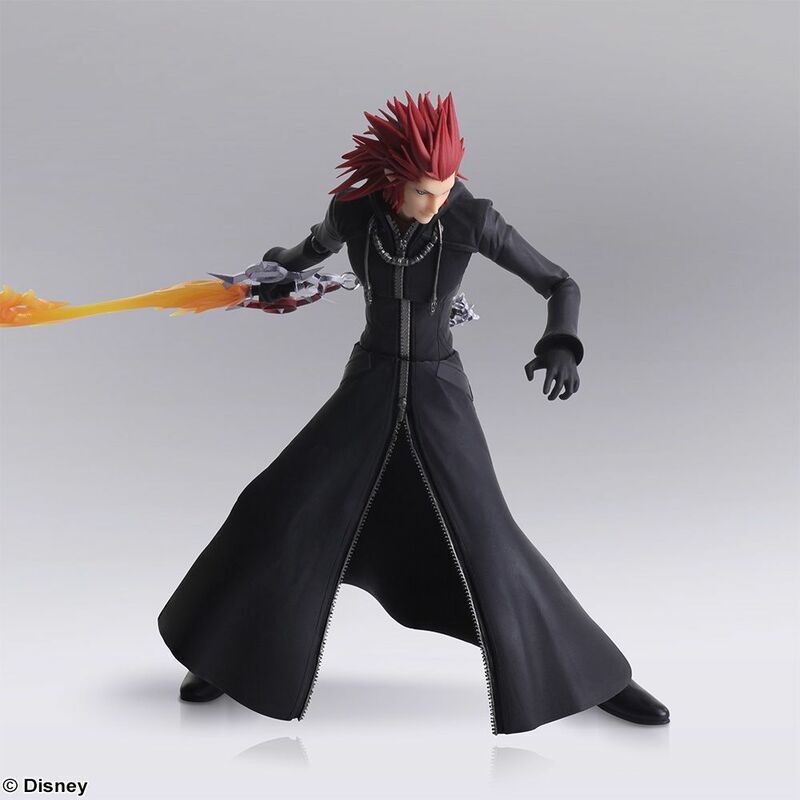 This figure faithfully recreates Axel’s distinctive slender outline and appearance from the game. 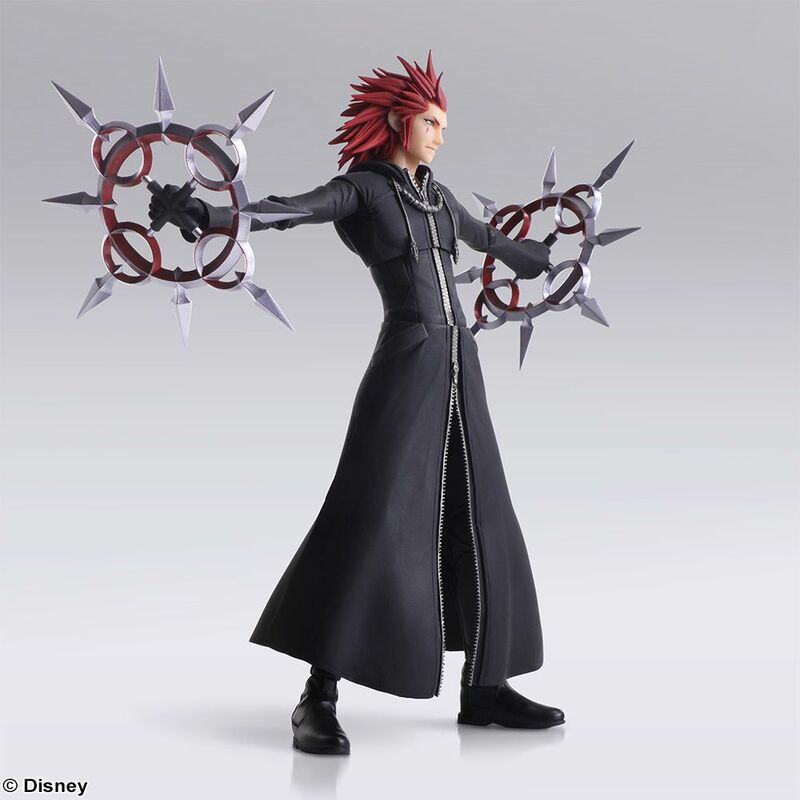 His coat uses soft materials so as not to impede articulation and has been worked to have a fine wrinkled texture, while the translucent parts of his keyblade have been coloured with a two-tone shadowing effect to create an image of depth and solidity. 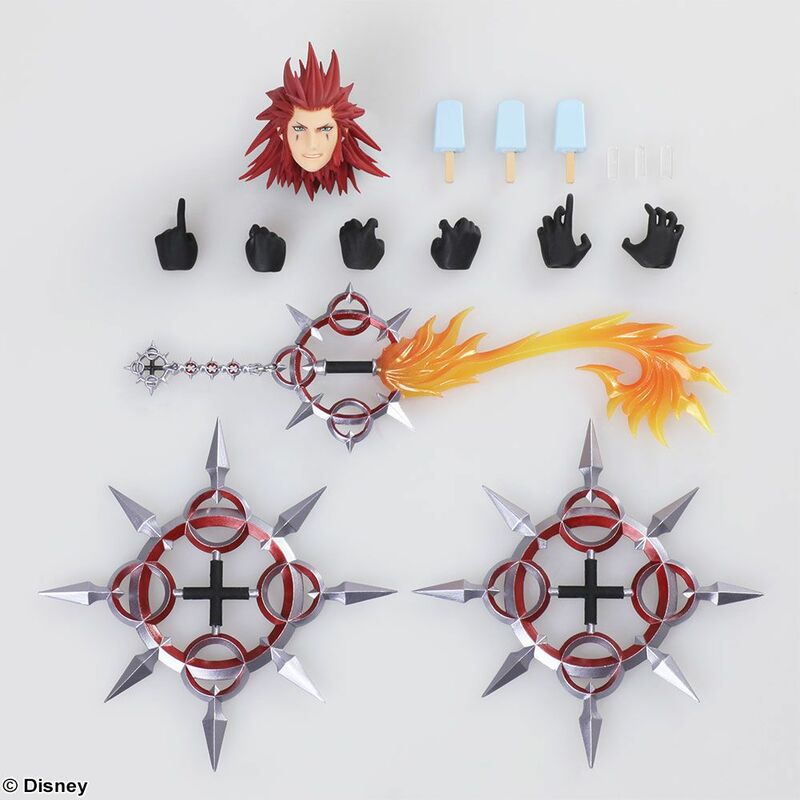 Comes packaged with numerous accessories, including two weapon options (keyblade and chakrams), an optional face, six alternative hands and three of the famous sea salt ice-cream.